verb tr., intr. : To bring about peace or settle a disagreement by negotiation. 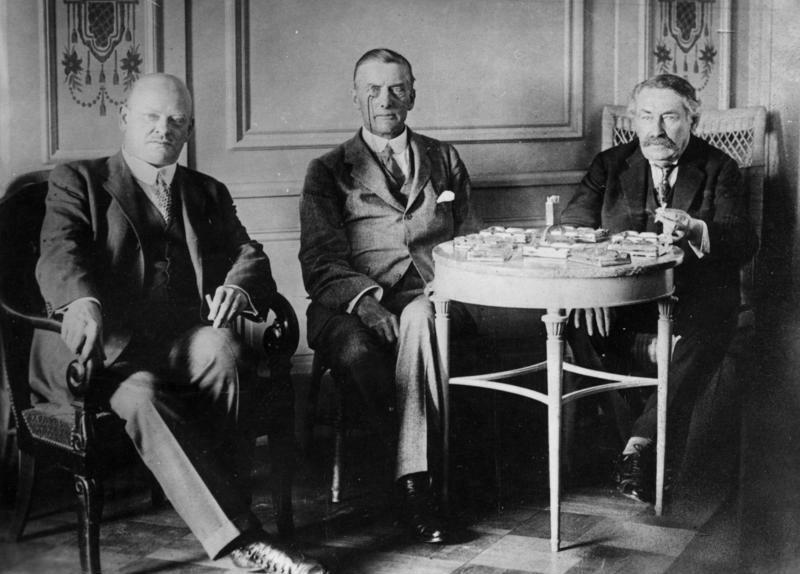 After Locarno, Switzerland, where in Oct 1925, Germany, France, Belgium, Great Britain, and Italy met to settle post-WWI disputes and concluded the Locarno Treaties. Earliest documented use: 1925. Piotr Stefan Wandycz; The Twilight of French Eastern Alliances, 1926-1936; Princeton University Press; 1988.